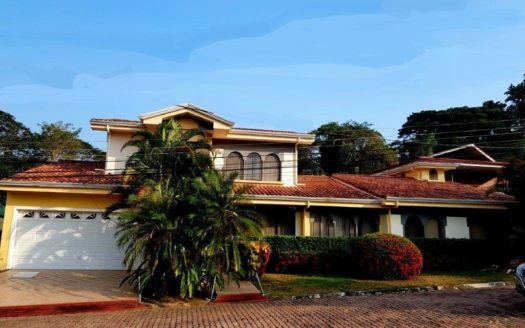 Stunning 5 bedroom home located in the exclusive private community of Punta Leona, Central Pacific, Costa Rica, home to Costa Rica’s only white sand beaches. Dramatic jungle-covered hills overlook the ocean at this exclusive area, home is perched in an elevated spot to take it all in. Home is 5 bedroom, 4.5 bath measuring 380 sq. meter (4,088 sq ft), on a 702 sq. meter. (7,554 sq.ft.) lot. Property is maintained in impeccable condition. 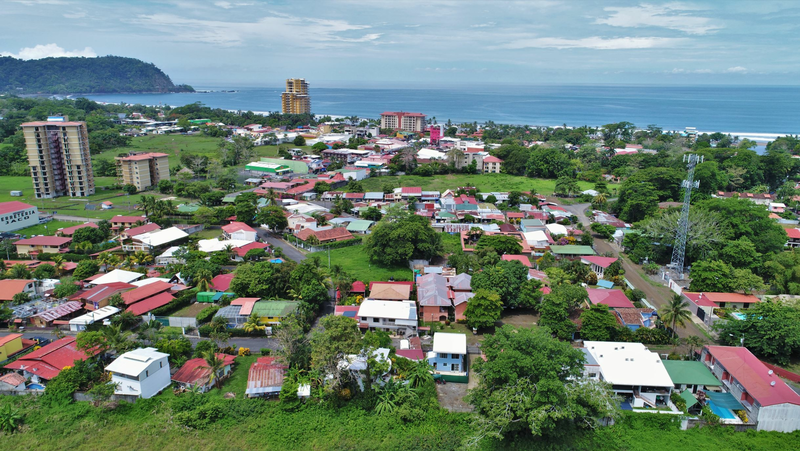 Views include waves crashing against cliffs below, sunsets, jungle, amazing flora and fauna and wildlife, property has totally paved access to the home and all the amenities of modern living. 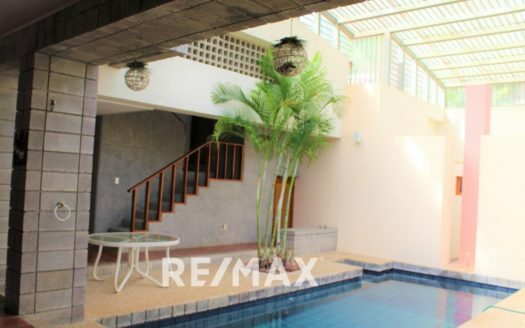 This is a multi-level home of rock solid construction, (steel reinforced poured concrete); top floor features master bedroom suite and private balcony, as well as two guest bedrooms with shared bath. The main floor includes a spectacular living room, 20+ foot ceilings, floor to ceiling windows to accent the amazing views. Modern kitchen fully equipped w. granite counter-tops and stainless-steel appliances, additional guest bedroom and bath on this floor as well as a large garage. Bottom floor has another bedroom and a bath that is also accessible from the pool area. With balconies and sitting areas throughout the property, as well as a private pool overlooking the ocean, you’ll be convinced you’ve landed in Paradise! Next to the pool is an additional guest home or rec. room with floor to ceiling glass windows, awesome barbeque area as well as entertainment system. Price includes golf cart for quick and easy access to all that Punta Leona has to offer, including 2 private white sand beaches, canopy tours, surfing, biking, hiking, tennis, mini-golf, shopping, restaurants, bars, as well as a hotel and beach-clubs.